The Kansas City Chiefs come to AT&T Stadium for a high-stakes showdown with the Dallas Cowboys on Sunday. The Cowboys have been able to at least partially right the ship with two straight wins coming off the bye-week, including a 33-19 road triumph over the Redskins on Sunday. They now return home, where they will be playing four of their next five games and looking to make a big move. But the incoming Chiefs have different plans. On MNF, they were able to snap out of a funk that saw them lose two straight, going to 6-2 with a 29-19 win at home over the Denver Broncos. It wasn't a vintage offensive performance for the Chiefs, but the defense played well and they look to keep it rolling on the short week against the Cowboys on Sunday. The Cowboys started off the season looking a bit shaky in going 2-3 in their first five games, including a blowout loss to Denver and back-to-back home losses. They haven't won at home since week one and will be looking to give the Dallas faithful something to be happy about this Sunday. The offense has shown signs of clicking into gear and returning to their form of last season, while the defense has become healthier and much improved over the last few weeks. Dallas was able to run the ball, while stopping Washington's run and making some big plays to seal the "W." But they got some bad news on Monday. The Cowboys got some good news that Elliott will play this week, with the ruling/appeal merry-go-round being really dizzying. Dak Prescott wasn't electric on Sunday, but he runs the offense smoothly even when not very prolific. He didn't throw for any touchdowns, but he also didn't make any mistakes, letting Elliott take over the bulk of the heavy lifting in the offense. Moving forward, you'd like to see the passing-game provide more consistency, as guys like Dez Bryant, Terrance Williams, Jason Witten, Cole Beasley, and others are on some weeks and off in others. They could really use a bump in the aerial category. The Dallas defense is not great and they can be exploited. They're not bad in any one area perhaps, but there is nothing that they excel at, either. Getting a healthy Sean Lee back, along with David Irving and Anthony Hitchens, boosts their overall level of menace by a lot and allowing a total of 29 points in back-to-back road games to get to 4-3 is nice statement on where this side of the ball is heading moving into the halfway point of the season. The NFL's sack-leader DeMarcus Lawrence recovered a fumble and had a sack on Sunday, while Bene Benwikere also recovered a fumble. Byron Jones had an interception late and sealed it by returning it for a TD. And Irving is starting to warm up, with two sacks on Sunday. The Chiefs really needed the win on Monday against the Broncos. After two straight losses, another setback would have put a cloud over how well they started the season. The offense was a little lackluster. Alex Smith was off with 202 yards on 14-for-31 passing, with Kareem Hunt gaining 46 yards on 22 carries. A lot of drives just died, leading to five field goals from K Harrison Butker. Marcus Peters scored a defensive TD, with a 29-yard reception by TE Travis Kelce being their only offensive touchdown. Still, against a good Denver defense, some of that offensive lethargy had to be expected. What counts is a 29-19 win that wasn't even as close as the score indicated, with Denver adding a late TD. The Chiefs are still one of the higher-scoring offenses in the game. Even after an uneven outing, Alex Smith has been terrific this season, with 16 touchdowns and no interceptions. Hunt has cooled down after a big start with just 154 yards rushing in his last three games, but he could be due to perk back up again this week. Kelce has been better the last few weeks and was big with 133 yards receiving on MNF. Tyreek Hill is a good bet to start making big plays again here soon, as well. It was a positive development for the Chiefs to see the defense making so many plays. CB Marcus Peters set the tone in the first quarter, returning a fumble for a touchdown. He also had a pick, as did Kenneth Acker and returning CB Ron Parker, who gives the secondary a much-needed boost. Justin Houston was big with two sacks. The run-defense wasn't that good and that has been a problem this season. But even at their best, the Chiefs don't rely on a defense that suffocates opponents. They just need this defense to step up in big moments, while making some big plays along the way to tip things in their favor. The win was important for the Chiefs and it helps that they're playing a Dallas team that is without their top offensive contributor. It's unfortunate for the Cowboys that just as they seem to have gotten it together, they get hit with the bad news on Elliott. That doesn't mean this isn't a tough spot for the Chiefs. With their offense having lost a bit of their spark and the Dallas defense more on-the-mark the last few weeks, Dallas could thrive at home offensively with Elliott in there. But I see Kansas City scoring the big road win. Loot's Prediction to Cover the Point Spread: I'm betting on the Kansas City Chiefs plus 2.5 points. 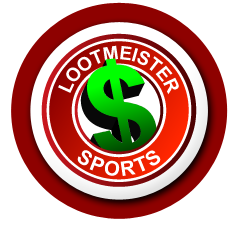 Tired of your credit card not working for sportsbook deposit? End that problem today and bet the Chiefs vs. Cowboys by signing up at Bovada Sportsbook where your credit card WILL work and where you'll receive a generous 50% sign-up bonus!